The first-ever Audi RS 5 Sportback has been announced and will arrive in Australia in February, 2019. It’s aimed at those who love the high-performance RS 5 coupe, but want the convenience of a five-door body. As our images show it has lost nothing in the way of sleek sporting lines. The RS 5 Sportback features a wide, flat single-frame grille, solid air intakes and a front spoiler with quattro lettering. At the rear there’s an RS-specific diffuser, and exhaust outlets with oval tailpipes and fixed spoiler. Power comes from a 2.9-litre TFSI V6 bi-turbo engine with 331 kW and 600 Nm, the latter spread across a huge band from 1900 to 5000 revs. Audi quoting a zero to to 100 km/h spring in just 3.9 seconds. 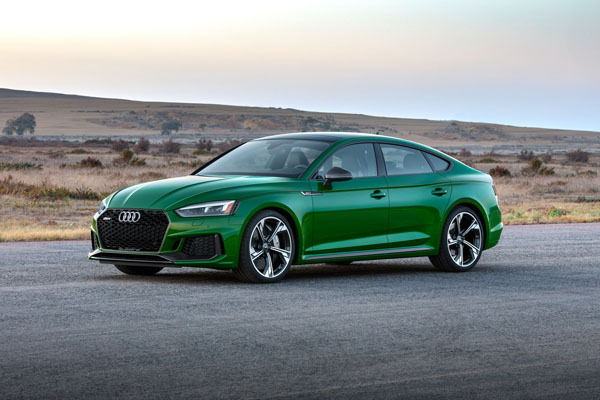 Audi RS sport suspension with Dynamic Ride Control (DRC) have the new Audi RS 5 Sportback sitting lower than the production A5 Sportback models. Drivers can make their personal driving experience more individual, dynamic or comfortable using the standard Audi drive select system. Audi offers ceramic brakes and dynamic steering with RS-specific tuning. The RS sport seats with diamond stitching are in Fine Nappa leather. There are RS logos on the seats, steering wheel, door-sill trims and the transmission selector lever. 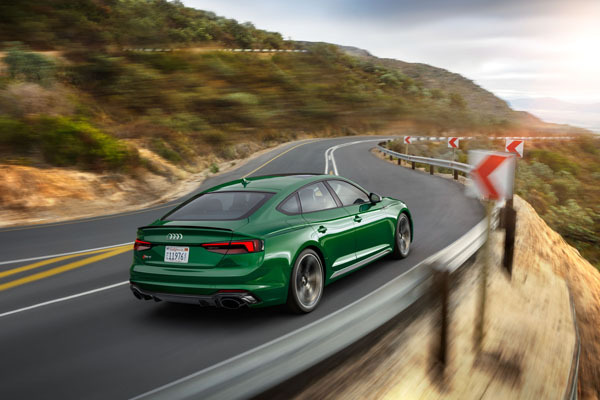 When it arrives in Australia in February, the new Audi RS 5 Sportback will be equipped with the same specification as the RS 5 coupe. These include 20-inch alloy wheels, LED headlights, gloss black exterior styling package, panoramic glass sunroof, as well as privacy glass and red-painted brake calipers. It can be customised with the Gloss Black and Carbon, styling packages. We look forward to driving one in the early weeks of next year and reporting back immediately afterwards. Both Coupe and Sportback will sell for $157,700 plus on-road costs.